In the heart of Lincoln Square at Lincoln and Montrose Avenues sits the 15-acre Welles Park, a gathering place for musicians and sports and fitness enthusiasts of all kinds. Many residents enjoy the park’s indoor pool—using it year-round for lap swims, instruction, and aqua exercise. Others visit Welles Park’s fitness center for a workout, while some prefer a leisurely game of horseshoes at the park’s outdoor pits. 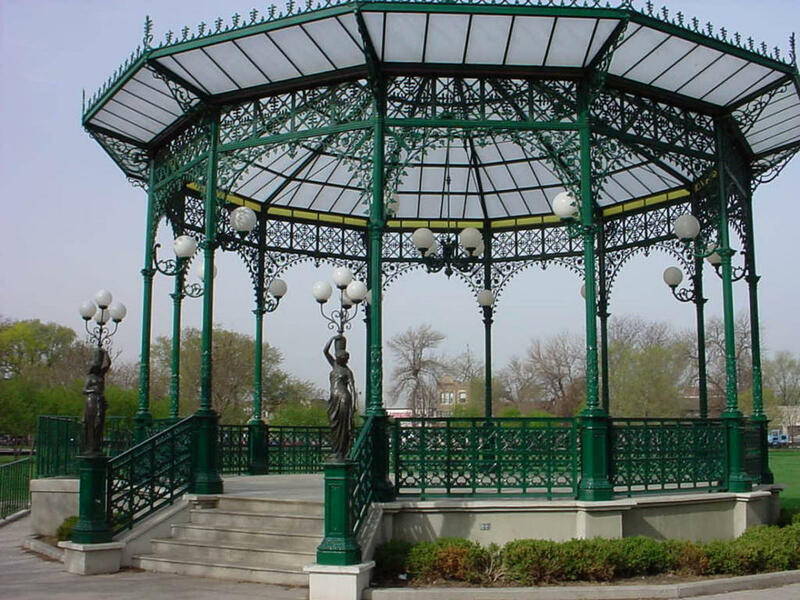 The Chicago Park District installed and unveiled a green, wrought-iron, European-style gazebo on the west side of the park as a centerpiece for the Lincoln Square community. Equipped with electricity for lights and sound, the gazebo is used for outdoor concerts, storytelling and other performances.